We just did our grand roundup of all the rumors and leaks about the eventual swan songs of HTC's flagship line - the U12 and U12+ - that might have been conceived before Google took over the company's Pixel-making department, and poached 2000 engineers with them. Lo and behold, as if to confirm that these two phone are indeed coming soon, the U12+ pricing has leaked straight out of Taiwan from a source that has had good HTC scoops in the past. It turns out that HTC might have learned a lesson, and is pricing the U12+ concurrently with the Galaxy S9 on its home front. The release date is set for June 1, or a week after the eventual official unveiling on May 23rd, which also sounds legit. The pricing for the U12, or if there will even be one, is not mentioned in the report, which leaves one more mystery to ponder on in the next two weeks. Agreed. I've owned a lot of HTC phones over the years and they're top notch - though I will say I thin the 10 I'm rockin' right now is a dud. However, they lost brand value and respect that they can't command the premium - or even same prices - that Samsung can get for a similar phone. With little carrier presence anymore, they need to compete more on price to get people to notice. I don't think they have to get down as low as OnePlus, but even in the $650 range would be a lot more attractive than yet another Samsung equivalent. HTC needs to get people buying their phones first, and at least breaking even. Then once it gets more of a following again, they can start charging more. One thing HTC has going for it is that they've been pretty developer friendly with allowing bootloader unlocks. The downside is with the HTC following ever getting smaller, there are fewer devs out there than there used to be. HTC has a great engineering core, but they make a lot of dumb business and marketing decisions. How's the 10 I can pick one up on the cheap. I love my HTC 10, however if battery life is important to you I'd say pass on the HTC 10. Mine gets 4 hours SOT but most people have dropped down around 2-3 hours with the Oreo update. I refuse to upgrade and am still on Nougat. I agree completely. I've been an advocate for them for years. They need to focus at the store level in getting people interested in their products. I know money is always the issue,but it seems like the world eventually will have three major players in the smartphone game. They dont have factories in China to pay cheap for employees, then sell cheaper. Chinese phones earn money with adds on the chinese version of the UI. These prices seem fair to me for what the U12+ is supposed to offer. It will or might be the HTC U12 Life midrange smartphone with a notch. $500 is my final offer. 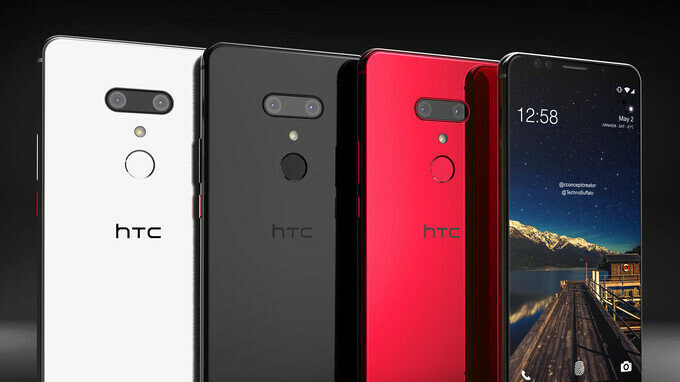 I really want to get HTC phones, but I can't bring myself to because I feel like they're always a few months out from bankruptcy. I want a phone that I know will be supported for an extended period of time. They've been close to bankruptcy for about three years at this point. Buyers don't even know about the lack software support, so that's not what is killing HTC. It's totally a lack of advertising, no one knows they exist anymore. It's only Apple and Samsung on people's minds, with LG and Motorola distant runners up (in the USA anyways).